Thank you! Be sure to connect with us on social media as well! The production company behind: The Story Geeks, Star Wars: Rivals (the fan film), and Death of a Bounty Hunter. Dig deeper into your favorite geek stories on The Story Geeks blog, where you can find our podcast, YouTube channel, and articles. Vying to become Jedi Master Cuthar's apprentice, two sisters battle the dark side and each other. Watch Star Wars: Rivals, our fan film. Learn more about Death of a Bounty Hunter, our new steampunk / fantasy / western. A full-cast audiobook. ...but when my mom got cancer, and when two of my friends' moms died, I realized that escaping wasn't enough. I needed these stories to matter, because real life matters. Now, alongside my co-founder Nathan Scheck (and our amazing team), I run the Reclamation Society, a nonprofit production company for geeks. We produce original content, like Star Wars: Rivals (our fan film), Death of a Bounty Hunter, and all The Story Geeks content. We bring geeks together and get them talking about things that matter (while having a lot of fun). Thanks for dropping by! If you're new, a great place to start is The Story Geeks blog, or you might want to watch our fan film, Star Wars: Rivals. Just be sure to subscribe to our email list in order to keep up-to-date on our latest projects! Donating to the Reclamation Society means supporting a 501(c)(3) nonprofit, and all donations are tax deductible. 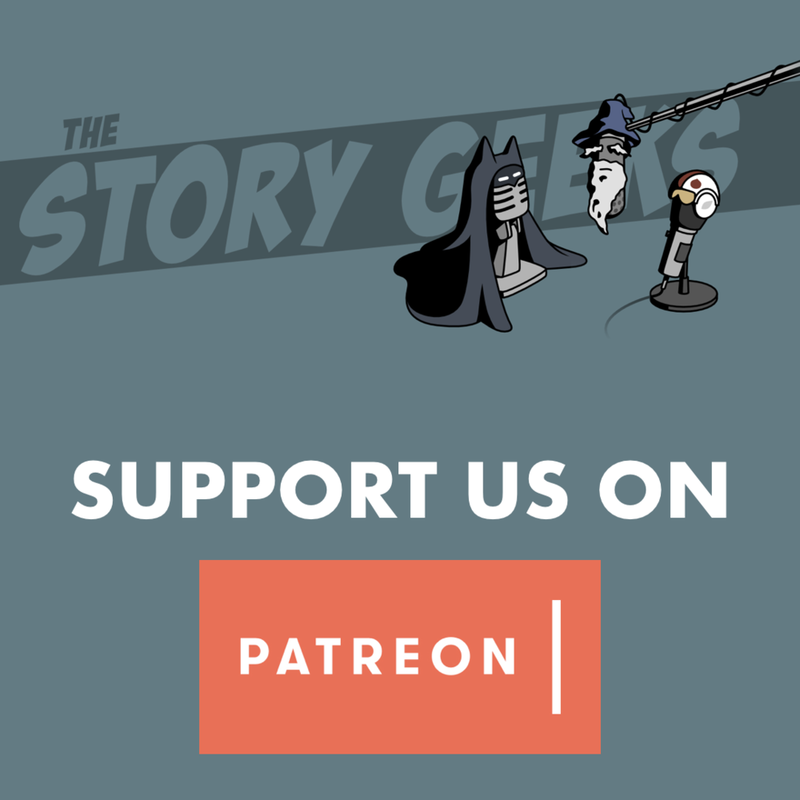 Supporting the Reclamation Society through The Story Geeks Patreon account allows us to offer you exclusive content! All The Story Geeks content can be found on our blog at www.thestorygeeks.org. Every week we release a new episode of The Story Geeks podcast, host The Story Geeks LIVE Show on YouTube, release geek-related blog posts, and more!